Izmir is a large metropolis in the western extremity of Anatolia and the third most populous city in Turkey, after Istanbul and Ankara. Izmirs metropolitan area extends along the outlying waters of the Gulf of Izmir and inland to the north across Gediz Rivers delta, to the east along an alluvial plain created by several small streams and to a slightly more rugged terrain in the south. 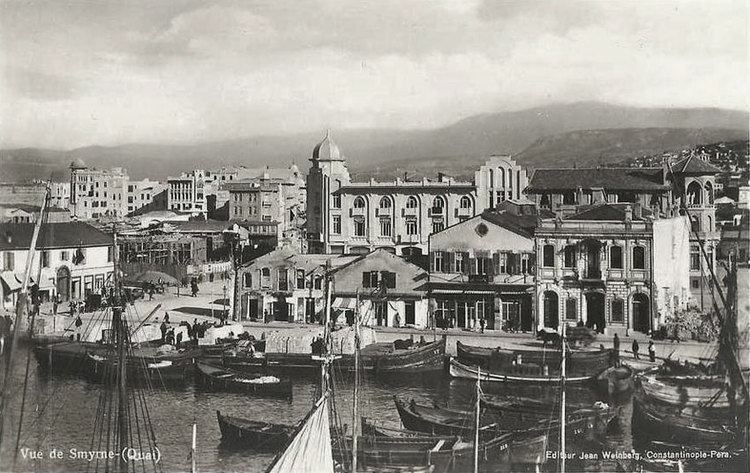 The ancient city was known as Smyrna (Greek: Smyrni), and the city was generally referred to as Smyrna in English, until the Turkish Postal Service Law of 28 March 1930 made "Izmir" the internationally recognized name. The city of Izmir is composed of several metropolitan districts. Of these, Konak district corresponds to historical Izmir, this districts area having constituted the "Izmir Municipality" (Turkish: ) area until 1984, Konak until then having been a name for a central neighborhood around Konak Square, still the core of the city. With the constitution of the "Greater Izmir Metropolitan Municipality" (Turkish: ), the city of Izmir became a compound bringing together initially nine, and more recently eleven metropolitan districts, namely Balcova, Bayrakli, Bornova, Buca, Cigli, Gaziemir, Guzelbahce, Karabaglar, Karsiyaka, Konak and Narlidere. Almost all of these settlements are former district centers or neighborhoods which stood on their own, with their own distinct features and temperament. In an ongoing processus, the Mayor of Izmir was also vested with authority over the areas of additional districts reaching from Bergama in the north to Selcuk in the south, bringing the number of districts to be considered as being part of Izmir to twenty-one under the new arrangements, two of these having been administratively included in Izmir only partially. According to the Turkish Statistical Institute, in 2012 the city of Izmir had a population of 3,401,994 and its metropolitan municipality 4,005,459. The city is one of the oldest settlements of the Mediterranean basin. The 2004 discovery of Yesilova Hoyuk and the neighboring Yassitepe, situated in the small delta of Meles River, now the plain of Bornova, reset the starting date of the citys past further back than was previously thought. The findings of the two seasons of excavations carried out in the Yesilova Hoyuk by a team of archaeologists from Izmirs Ege University indicate three levels, two of which are prehistoric. Level 2 bears traces of early to mid-Chalcolithic, and Level 3 of Neolithic settlements. These two levels would have been inhabited by the indigenous peoples of the area, very roughly, between 7th millennium BC to 4th millennium BC. 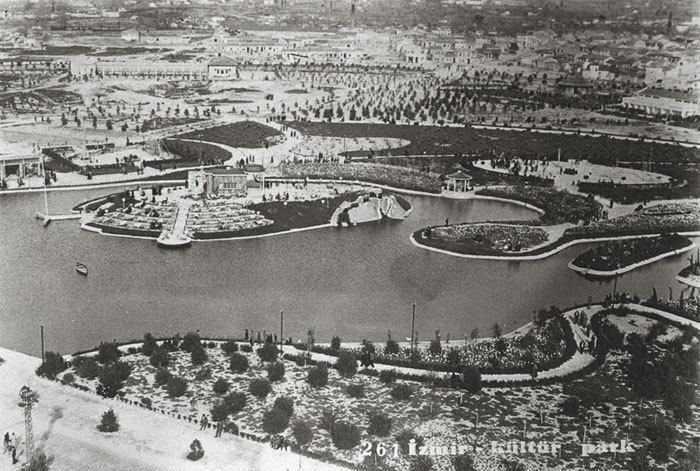 With the seashore drawing away in time, the site was later used as a cemetery. Several graves containing artifacts dating, roughly, from 3000 BC, contemporary with the first city of Troy, were found. By 1500 BC, the region fell under the influence of the Central Anatolian Hittite Empire who mentioned several localities near Izmir in their records. The first settlement to have commanded the Gulf of Izmir as a whole is recorded, in a semi-legendary manner, to have been founded on top of Mount Yamanlar, to the northeast of the inner gulf. In connection with the silt brought by the streams which join the sea along the coastline, the settlement to form later the core of "Old Smyrna" was founded on the slopes of the same mountain, on a hill (then a small peninsula connected to the mainland by a small isthmus) in the present-day quarter of Bayrakli. The Bayrakli settlement is thought to have stretched back in time as far as the 3rd millennium BC. It rose up to become one of the most advanced cultures in early Anatolian history and was on a par with Troy. The presence of a vineyard of Izmirs Wine and Beer Factory on this hill, also called Tepekule, prevented the urbanization of the site and facilitated the excavations that started in the 1960s by Ekrem Akurgal. However, in the 13th century BC, invasions from the Balkans (the so-called sea people) destroyed Troy VII and Central and Western Anatolia as a whole fell into what is generally called the period of "Anatolian" and "Greek" Dark Ages of the Bronze Age collapse. At the dawn of Izmirs recorded historical era, Pausanias describes "evident tokens" such as "a port called after the name of Tantalus and a sepulchre of him by no means obscure", corresponding to the citys area and which have been tentatively located to date. The term "Old Smyrna" is used to describe the Archaic Period city located at Tepekule, Bayrakli, to make a distinction with Smyrna re-built later on the slopes of Pagos (present-day Kadifekale). The Greek settlement in Old Smyrna is attested by the presence of pottery dating from about 1000 BC onwards and the most ancient ruins preserved to our day date back to 725–700 BC. Herodotus says that the city was founded by Aeolians and later seized by Ionians. The oldest house discovered in Bayrakli is dated to 925 and 900 BC. The walls of this well-preserved house (2.45 by 4 metres or 8.0 by 13.1 feet), consisting of one small room typical of the Iron Age, were made of sun-dried bricks and the roof of the house was made of reeds. The oldest model of a multiple-roomed type house of this period was found in Old Smyrna. Known to be the oldest house having so many rooms under its roof, it was built in the second half of the 7th century BC. The house has two floors and five rooms with a courtyard. Around that time, people started to protect the city with thick ramparts made of sun-dried bricks. Smyrna was built on the Hippodamian system in which streets run north-south and east-west and intersect at right angles, in a pattern familiar in the Near East but the earliest example in a western city. The houses all faced to the south. The most ancient paved streets of the Ionian civilization have also been discovered in ancient Smyrna. Homer, referred to as Melesigenes which means "Child of the Meles Brook" is said to have been born in Smyrna in the 7th or 8th century BC. Combined with written evidence, it is generally admitted that Smyrna and Chios put forth the strongest arguments in claiming Homer and the main belief is that he was born in Ionia. A River Meles, still carrying the same name, is located within the city limits, although association with the Homeric river is subject to controversy. From the 7th century onwards, Smyrna achieved an identity of city-state. About 1,000 lived inside the city walls, with others living in nearby villages, where fields, olive trees, vineyards, and the workshops of potters and stonecutters were located. People generally made their living through agriculture and fishing. The most important sanctuary of Old Smyrna was the Temple of Athena, which dates back to 640–580 BC and is partially restored today. Smyrna, by this point, was no longer a small town, but an urban center that took part in the Mediterranean trade. The city eventually became one of the twelve Ionian cities and set out on its way to become a foremost cultural and commercial center of that period in the Mediterranean basin, reaching its peak between 650–545 BC. The citys port position near their capital attracted the Lydians to Smyrna. The army of Lydias Mermnad dynasty conquered the city some time around 610–600 BC and is reported to have burned and destroyed parts of the city, although recent analyses on the remains in Bayrakli demonstrate that the temple has been in continuous use or was very quickly repaired under Lydian rule. Soon afterwards, an invasion from outside Anatolia, that of the Persian Empire, effectively ended Old Smyrnas history as an urban center of note. The Persian Emperor Cyrus the Great attacked the coastal cities of the Aegean after having conquered the capital of Lydia. As a result, Old Smyrna was destroyed in 545 BC. Alexander the Great re-founded the city at a new location beyond the Meles River around 340 BC. Alexander had defeated the Persians in several battles and finally the Emperor Darius III himself at Issus in 333 BC. Old Smyrna on a small hill by the sea was sufficient only for a few thousand people. Therefore, the slopes of Mount Pagos (Kadifekale) was chosen for the foundation of the new city, for which Alexander is credited, and this act lay the ground for a resurgence in the citys population. In 133 BC, when Eumenes III, the last king of the Attalid dynasty of Pergamum, was about to die without an heir, he bequeathed his kingdom to the Roman Republic in his will, and this included Smyrna. The city thus came under Roman rule as a civil diocese within the Province of Asia and enjoyed a new period of prosperity. Near the close of the 1st century AD, when Smyrna appeared as one of the seven churches of Asia addressed in the Book of Revelation, Smyrna had a Christian congregation undergoing persecution from the citys Jews (Revelation 2:9). In contrast to several of the other churches, Apostle John had nothing negative to say about this church. He did, however, predict that the persecution will continue and urged them, "Be faithful to the point of death, and I will give you the crown of life" (Revelation 2:10). The persecution of Christians continued into the 2nd century, as documented by the martyrdom of Polycarp, bishop of Smyrna, in 155 AD. Due to the importance that the city achieved, the Roman emperors who came to Anatolia also visited Smyrna. In early 124, Emperor Hadrian visited Smyrna as part of his journeys across the Empire and possibly Caracalla in 214–215. It was a fine city with streets paved with stones. In 178 AD, the city was devastated by an earthquake. Considered to be one of the most severe disasters that the city has faced in its history, the earthquake razed the town to the ground. The destruction was so great that the support of the Empire for rebuilding was necessary. Emperor Marcus Aurelius contributed greatly to the rebuilding activities and the city was re-founded again. The state agora was restored during this period. Much of the works of architecture pertaining to the pre-Turkish period of the city and that reached our day date from this period. After the Roman Empires division into two distinct entities, Smyrna became a territory of the Eastern Roman Empire. It preserved its status as a notable religious center in the early times of the Byzantine Empire. However, the city did decrease in size greatly during Late Antiquity and the Early Middle Age, never returning to the Roman levels of prosperity. Izmir prides itself with its busy schedule of trade fairs, exhibitions and congresses. The fair and the festival are held in the compound of Izmirs vast inner city park named Kulturpark in the first days of September, and organized by IZFAS, a depending company of Izmir Metropolitan Municipality. Izmir was a candidate to host Expo 2015, however Milan won the bid in an 86 to 65 vote. Izmir is currently among the candidate cities bidding to host Expo 2020. Trade through the citys port had a determinant importance for the economy of the Ottoman Empire at the beginning of the 19th century and the economic foundations of the early decades of Turkeys Republican era were also laid here in Izmir Economic Congress. Presently, Izmir areas economy is divided in value between various types of activity as follows: 30.5% for industry, 22.9% for trade and related services, 13.5% for transportation and communication and 7.8% for agriculture. In 2008, Izmir provided 10.5% of all tax revenues collected by Turkey and its exports corresponded to 6% and its imports 4% of Turkeys foreign trade. The province as a whole is Turkeys third largest exporter after Istanbul and Bursa, and the fifth largest importer. 85–90% of the regions exports and approximately one fifth of all Turkish exports are made through the Port of Alsancak with an annual container loading capacity of close to a million. The annual International Izmir Festival, which begins in mid-June and continues until mid-July, has been organized since 1987. During the festival, many world-class performers such as soloists and virtuosi, orchestras, dance companies, rock and jazz groups have given recitals and performances at various venues in the city and its surrounding areas; including the ancient theatres at Ephesus (near Selcuk) and Metropolis (an ancient Ionian city situated near the town of Torbali.) The festival is a member of the European Festivals Association since 2003. The Izmir European Jazz Festival is among the numerous events organized every year by the IKSEV (Izmir Foundation for Culture, Arts and Education) since 1994. The festival aims to bring together masters and lovers of jazz with the aim to generate feelings of love, friendship and peace. The International Izmir Short Film Festival is organized since 1999 and is a member of the European Coordination of Film Festivals. Izmir Metropolitan Municipality has built the Ahmet Adnan Saygun Art Center on a 21,000 m2 land plot in the Guzelyali district, in order to contribute to the citys culture and art life. The acoustics of the center have been prepared by ARUP which is a world famous company in this field. Izmirs cuisine has largely been affected by its multicultural history, hence the large variety of food originating from the Aegean and Mediterranean regions. Population movement from Eastern and South East Anatolia regions has enriched the local cuisine. Another factor is the large and fertile area of land surrounding the region which grows a rich selection of vegetables. There is considerable culinary usage of green leaf vegetables and wild plants amongst the residents, especially those with insular heritage, such as the immigrants from Crete. Some of the common dishes found here are the tarhana soup (made from dried yoghurt and tomatoes), "Izmir" kofte, sulu kofte, keskek (boiled wheat with meat), zerde (sweetened rice with saffron) and mucver (made from zucchine and eggs). A Sephardic contribution to the Turkish cuisine, boyoz and lokma are pastries associated with Izmir. Kumru is a special kind of sandwich that is associated particularly with the Cesme district and features cheese and tomato in its basics, with sucuk also added sometimes.